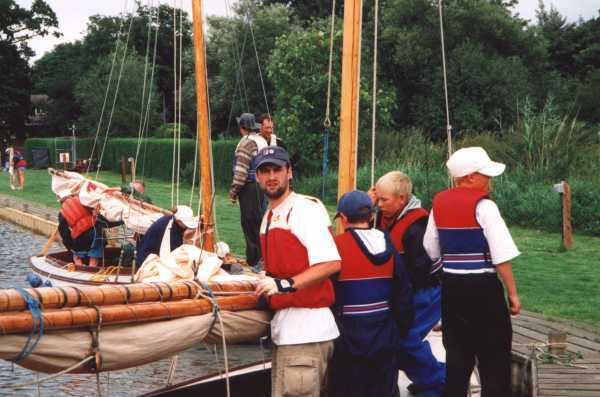 Skipper Dan looks strangely bewildered as he and his crew tidy up their boat upon arrival at Hunters Yard. Odd that. Not a very good picture, but worth it for the memories and the look on Neil's face. 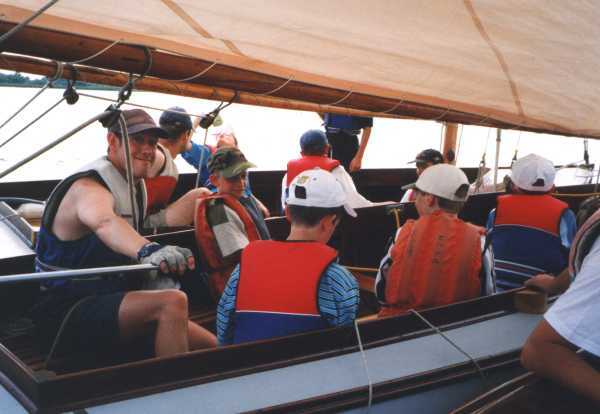 Summer 2000, Hickling Broad. Did YOU see three boats attempting to sail whilst attached to each other in low winds? 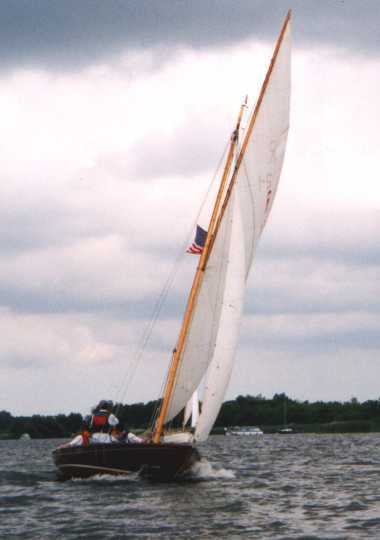 Sailing about with good ol' Jade at the head of the fleet again. (However although the word 'old' is indeed accurate, the word 'good' may be the cause of some debate). The Wood Sorrel posse. Skipper Clare does the Tomb Raider pose with Dan and Alistair in the background, and featuring Jeff's elbow. Word. 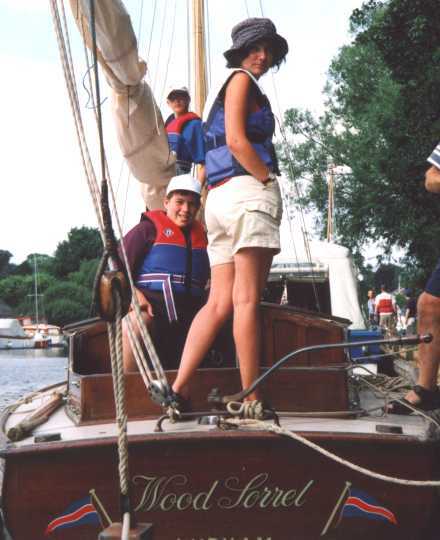 A shot of the Rebel Reveller, doing what she does best, under the expert skippering of Alex. 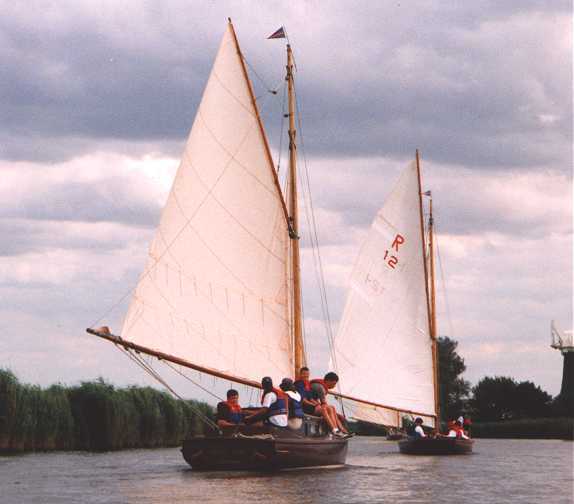 Sailing down Acle reaches. 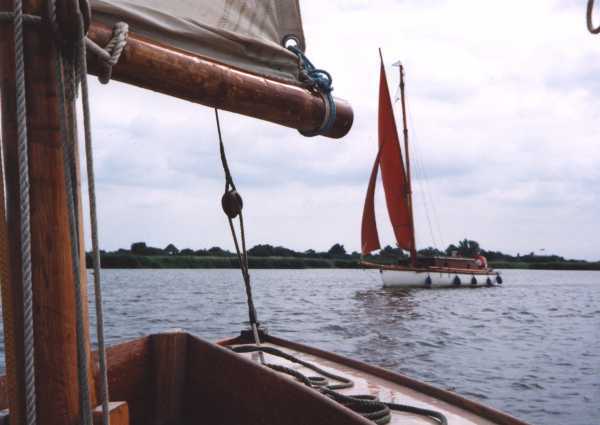 Or just past Acle reaches. Wood Sorrel's crew for the day. 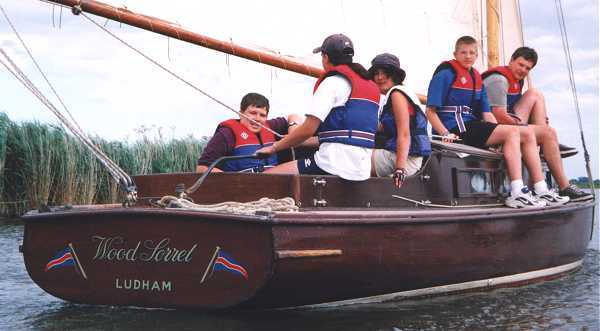 From left to right; Daniel, Vicki on the helm, skipper Clare, Alistair, and the mate, Big Col (not 100% sure those names are all correct so apologies if they aren't). 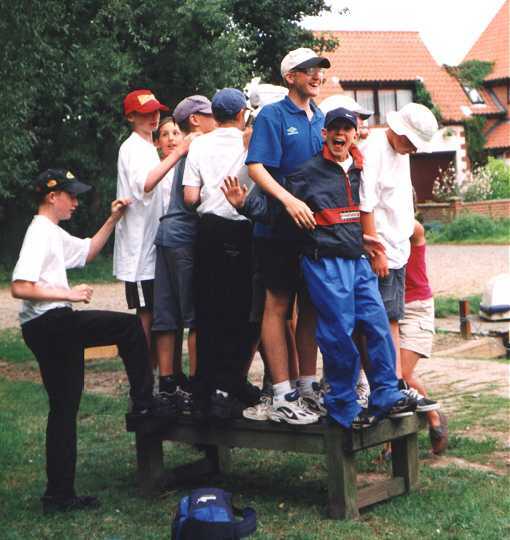 The famous 'how many campers can you get on a table' game. My crew for the day. 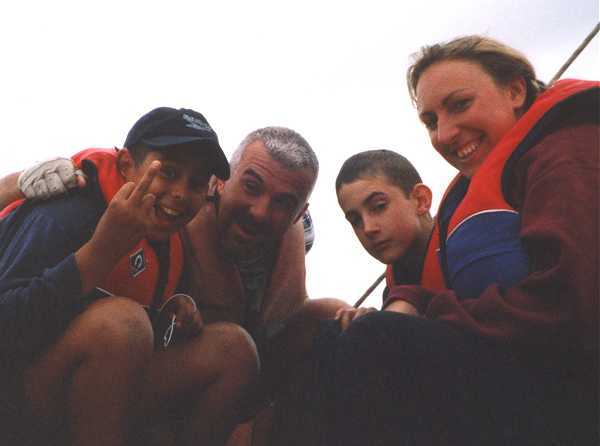 From right to left; Vicki (the other one), Luke, Graham the mate, and (sigh) Lewis. Some of our officers casually inspect a suspected smuggling operation. You can see quite clearly the suspect in the white shirt who- oh, er hang on. Sorry, was writing the wrong webpage there for a second. Ha ha ha. 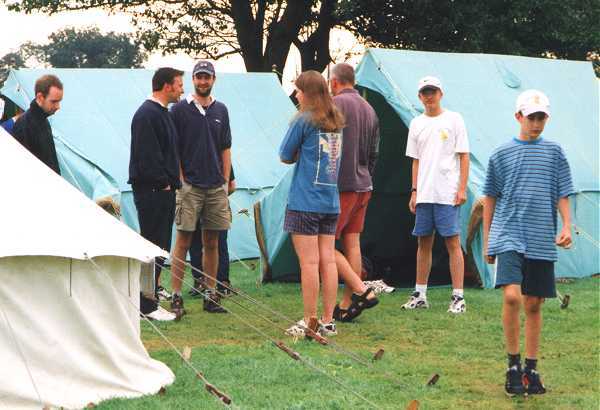 I meant to say, of course, some of the mates and skippers, hanging around outside the tents.